This gigantic, statement-making Diesel watch boasts four time zones and both digital and analog time for an ultra-modern look. A matte gunmetal bracelet completes the masculine design. My boyfriend loves his watch. 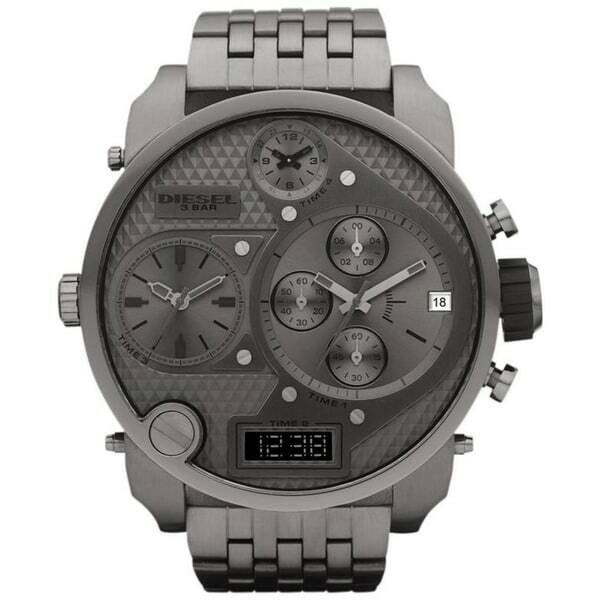 Never had a Diesel watch so I couldn't wait to buy this for him. I like a similar large face watch a friend of mine has and Overstock priced the same watch at a lower price($130.00) compare to Amazon.com!! I like the colour, style, and the metal band (verses leather band). I wanted something for my husband that would catch the eye, but not be too frilly.